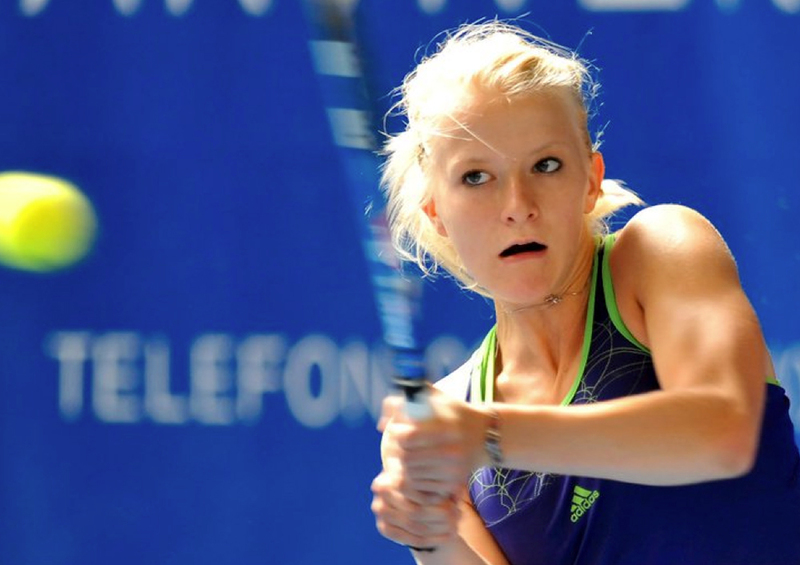 Lea Winkler is the top recruit for the Drexel women’s tennis team going into the 2013 season. Winkler, a native of Switzerland, is the 68th-ranked player in the country. The 2012-2013 season for the Drexel men’s and women’s tennis teams was a successful year under head coach Mehdi Rhazali. Last year, Rhazali was promoted to head coach of a Dragons program looking to make a mark within the Colonial Athletic Association. In a short period of time, Rhazali has made an initial mark and now has his eyes set on bigger and better things for the program. Heading into the 2013 fall season, the men’s team will look to build upon a strong winter campaign. In the winter, the men’s team defeated Temple University for the first time since 2008 and they reached the semi-finals of the CAA Championships for the first time. They will return nine out of the ten players on the roster from last season, all of whom have match experience. Drexel is led by junior Badr Ouabdelmoumen and senior Skyler Davis. Ouabdelmoumen was an All-CAA First Team selection after winning eight singles and six doubles matches. In conference play, he led the team in its first ever victory over the University of Delaware by a score of 4-3, capturing both his doubles and singles matches. The men ended their season with an 8-5 record and a 2-1 record in the CAA. Rhazali will be releasing information on his recruiting class in the upcoming weeks, but has promised to build upon the men’s strong season. The women’s team also returns key contributors on a 9-7 Dragons team that reached the quarterfinals of the CAA Championships. The women are led by senior Zeynep Mafa, who earned All-CAA First Team honors last season. Mafa led the team with nine singles and eight doubles wins throughout the course of the season. Fellow senior Marcela Rosales and junior Nicole Pivonka will also look to make strong impacts in the fall after excellent spring performances. Pivonka received All-CAA Second Team honors last year along with graduating senior Emma Brook. Rosales was named to the All-CAA Third Team for her doubles performance this year. Rhazali will bolster the women’s team by adding two highly touted recruits. Lea Winkler from Switzerland is the 68th-ranked player in the country and top-15 for her age group. “Lea is a very good defender with great touch and a great net game,” Rhazali praised of the incoming freshman. Joining Winkler next season will be four-star recruit Fiorella Coria from California. Coria also ranked No. 96 in the country in the class of 2013. “Fiorella is a lefty, all-court player with a lot of match play experience,” Rhazali commented on the West Coast arrival. “Academics are one of the biggest things for me because I want them to succeed in life as well as on the court and they can do that,” Rhazali said. Several of the current Drexel student-athletes will be helping Rhazali with a tennis camp being held this summer. After the camp, the Dragons will kick off their fall season in October as they look to further their growth in the CAA.